...And Next Week's Speaker is Marcus Harris who will speak on the topic "Portraits displayed in our National Capital "
Noelene Bloomfield, author of the book Almost a French Australia: French - Beiths Rivalry in the Southern Oceans, gave members an overview of her book at this week's meeting and with that, an understanding of why Australia was ot settled by the French. We could have been eating frog's legs rather than bangers and mash. 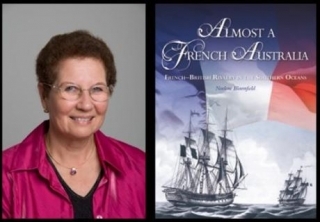 Noelene explained that after moving to Western Australia in 1968, her interest was piqued by the number of French place names in the state and this lead to many years of research, mainly in records held in France, and then writing her book. 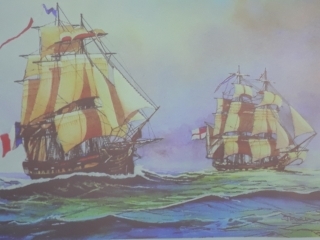 The French sent 16 expeditions to the southern waters, some government funded, some funded privately. Better known explorers included Saint Alouarn, de Bougainville, La Perouse, de Freycinet and Baudin. The British were aware of this and didn't want their long-time rival to settle the potential southern lands. 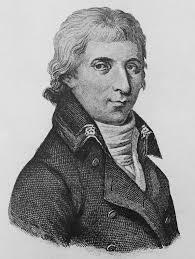 In 1772 French explorer Saint Alouarn arrived on the west coast of Australia. He buried coins on Dirk Hartog Island near Shark Bay. This was an acknowledged way of making a claim on land at that time. 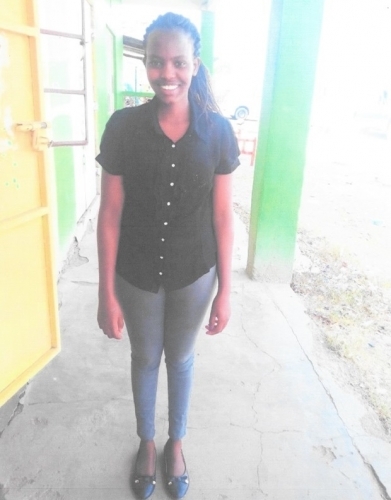 Noelene advised the accepted procedure was burying bottles with coins in and leaving behind some sort of document, making the claim. But Alouarn was never able to present his findings to his king as he died on the return journey to France. While it is understood that a document was left behind, it has never been found while the coins were found in 1998. By not following up his claim, France lost its best chance to establish a foothold in Australia. France was very interested in science, anthropology, geography and natural history and Napoleon agreed to send an expedition lead by Nicholas Baudin in the ships Geographe and Naturaliste (captained by Jacques Hamelin). The expedition explored much of the Australian coast including Tasmania and they had extensive peaceful interactions with the indigenous Tasmanians. They sailed to Timor and down the west coast of Australia and across the Great Australian Bight. As Hamelin was running short of food and water, he sailed the Naturaliste to Port Jackson to resupply. Baudin continued exploring the South Australian coast and met up with the British explorer Matthew Flinders at Encounter Bay. The explorers shared their findings before continuing their journeys. In 826, the governor of New South Wales decided there were ships from too many other countries around the country and decided it was time to establish settlements on the west coast. This put an end to the French trying to explore further and establish a settlement. A legacy of the French exploration is the number of French names in Australia.